Contact thousands of hot prospects. Normally $59 per month when purchased alone, it contains all the basic tools you need to take your business to the next level. Just LOOK What You Can Do! fa-check-square-oVarious prospecting tools, unclaimed listing tools, and many other helpful tools are included in this "granddaddy" of Local Marketing tools. fa-check-square-oThe New SALES DYNAMITE AdWords Prospector collects all the information about business owners who are paying Google for every click. fa-check-square-oThe New SALES DYNAMITE Video Prospector will detect if a website contains a video. Easily email the business owner with a customized email, and offer your services. 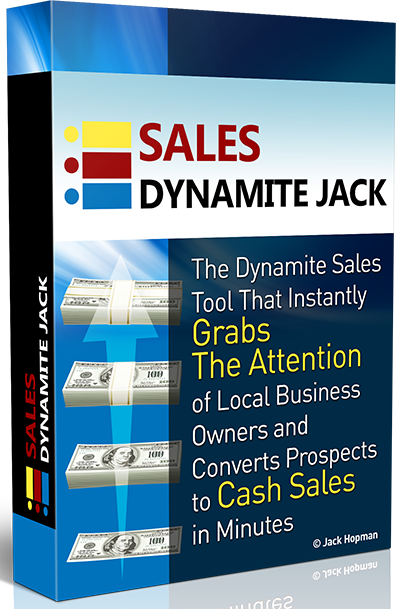 fa-check-square-oSALES DYNAMITE JACK automatically sends email invites to each and every prospect, with a link to his very own personalized URL where he can instantly see how his website will look! fa-check-square-oCall your prospects, ask them to take a look at their personalized URL to see it for themselves... then ask them where to send the invoice! Whatever your expertise, you are going to love the NEW BIZ PROSPECTOR. When you need to find the right information about a local company... those verified business emails, the owner's direct contact information, or even a GOOD working telephone number you can call, NEW BIZ PROSPECTOR should be the FIRST and ONLY resource you turn to. Normally $17 per month when purchased alone, this, too, is a popular module among Local Marketers. It finds all the business leads you can handle, with fast and easy automation. 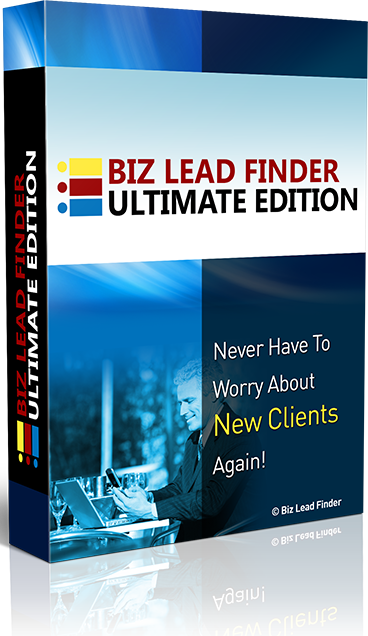 Without Lead Finder Jack, it would take you at least 3, 4, even 10 times the manual work to find the millions of clients needing the services you provide. With almost all OTHER programs - you have to supply PROXIES. fa-check-square-oOther vendors will say "Oh, don't worry - you can use proxy servers." fa-check-square-oLEAD FINDER JACK does all that "heavy lifting" for you... No proxies needed. Watch How To Make Money Today! Normally $47 per month when purchased alone, this is probably our most successful module ever. Enterprise gives you access to more than 250 local niche websites! These are full WordPress websites you can install "as is", or tweak to your liking. 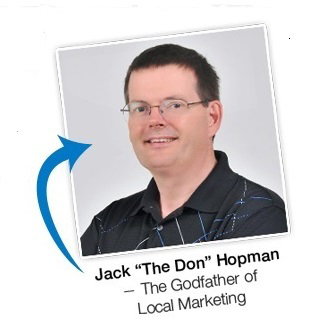 As a local marketer, I, Jack "The Don" Hopman, know what it's like to build a local marketing business from the ground up. I've weathered the same storms and learned some valuable lessons that I pass along to those who need the help. To this day, I still have my own clients that pay me thousands per month to help them market their businesses online. What I found in my journey was a lack of good tools to use - so I developed my own. The various tools we can offer you today have not only made my job much easier, they have helped take my business to levels I never believed possible. fa-check-square-oI know what it means to start from the bottom and work my way up. fa-check-square-oThe problem was, I didn't have access to tools and automation like many of you do today - so I developed my own. And inside this Dynamite Prospector package, you'll find the exact systems I used to build my own business, that can now help you build yours. fa-check-square-oDuring this Super Special launch, we've thrown in just about everything but the proverbial kitchen sink - then decided to throw that in for you, too! fa-check-square-oTake a look at what you'll gain access to with this Special $27 spend. And it IS a special, so we didn't stop there. And it IS a holiday special, so we didn't stop there. fa-check-square-oModule 1: Google My Business - Introduction. fa-check-square-oModule 2: Setting up Google My Business Listing. fa-check-square-oModule 3: Finding and Claiming Existing Business Listing. fa-check-square-oModule 4: Optimizing Google My Business Listing. fa-check-square-oModule 6: Why Citations Are Important. fa-check-square-oModule 6: Citation Building Secrets. 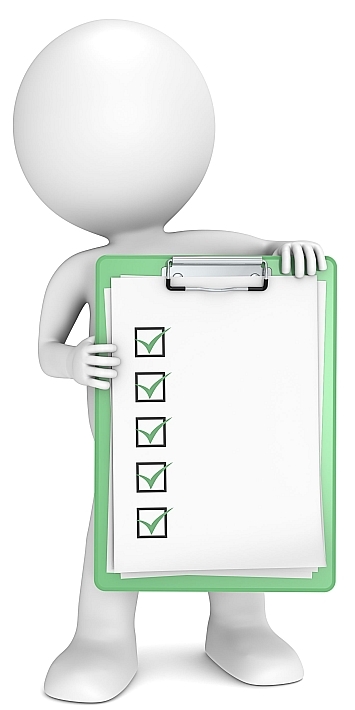 fa-check-square-oModule 7: Citation Building Best Practices. fa-check-square-oModule 8: Citation Clean Up Guide. fa-check-square-oModule 9: Citation Auditing Master. fa-check-square-oModule 10: Getting An Address For Your Lead Gen Sites. fa-check-square-oModule 11: Google Guide To Local Business Reviews. 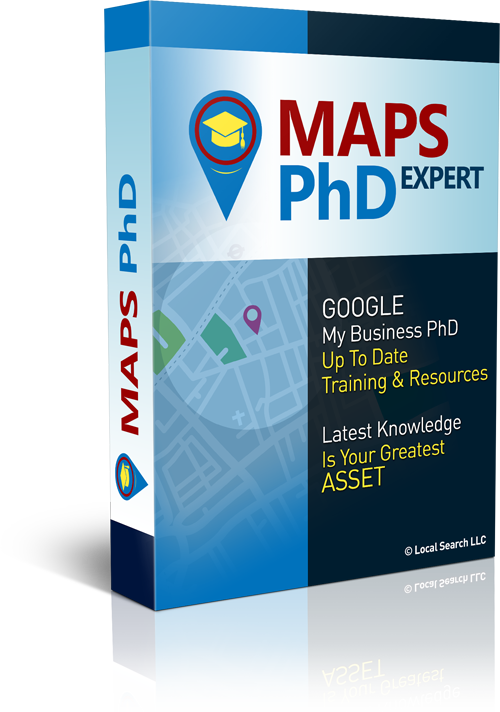 fa-check-square-o Module 12: MAPS PhD On Site Optimization. fa-check-square-oModule 13: Schema Markup Made Easy. fa-check-square-o Module 14: How to Geotag Images. fa-check-square-oModule 15: Generate More Reviews for Your Client's Business With Direct Review System. fa-check-square-oModule 16: Google Local 3-Pack Now Becomes Local Ads 2-Pack. Most Complete Google My Business Training EVER. fa-check-square-oModule 17: How to Recognize and Eliminate Spam on Google. fa-check-square-oModule 18: What are Practitioner Listings, and What to Do With Them. fa-check-square-oModule 19: What to Do After Citation Building. fa-check-square-oModule 20: How To Get More Reviews for Client's Business. fa-check-square-oLatest Knowledge Is Your Greatest Asset. fa-quote-leftJust finished a site and delivered to my client. He was ecstatic about his website. He said site looked fantastic. What a great feeling to have a satisfied client.. Thank you Jack and team for all of your help and support whenever I have an issue. You respond fast and are quite knowledgeable. 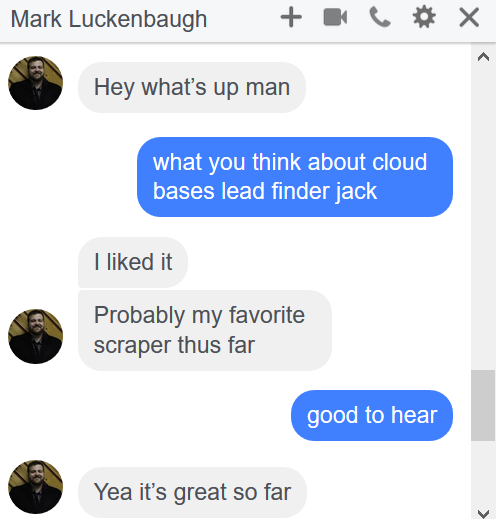 A satisfied user in Pascagoula, MS.
fa-quote-leftI have 3 other "lead scraper" programs and they don't come close to delivering what LEAD FINDER JACK delivers! This marvelous program gives more than a company's website and phone number. It also gives you the email and status reports on reputation, mobile sites, and whether they use adwords. Now I know who to sell leads to, who needs a mobile site, and who needs help with their reputation! It will save you a HUGE amount of time! fa-quote-leftReally excited about getting this thing going. It's the best prospecting system I've ever seen, and I've seen and tried A LOT. fa-quote-leftThis is the most complete business prospecting system I've ever seen, and I've been online for over 15 years. So Thanks, Jack Hopman, you are one amazing human being, you are very much appreciated. 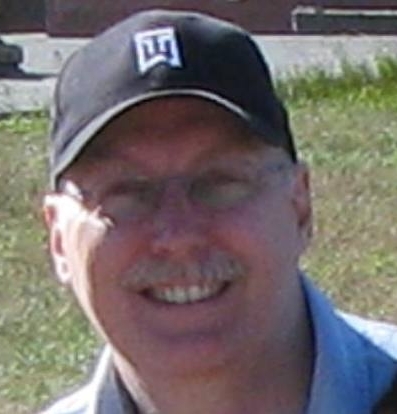 fa-quote-leftMy Name is Gary Fitzpatrick, web designer and Internet marketer. How do I know that customized websites convert so well? Because I have been secretly using this same method myself for the past year, and I was able to generate dozens of new clients for web design, mobile websites, SEO and reputation management. fa-quote-leftBut I was doing it the hard way! I had to manually create a demo WordPress website for each niche, upload and configure a personalization plugin, copy and paste contact details from Google into a spreadsheet, and upload as a CSV file. Then I had to create and manage email lists on a completely separate system. It was a huge headache getting all this to work properly, but it did produce fantastic results. fa-quote-leftHow much easier for you, using Jack's new automated all-in-one system! I can only wish a system like Sales Dynamite Jack had been available to me a year ago. It would have produced many more sales for me in just a fraction of the time. 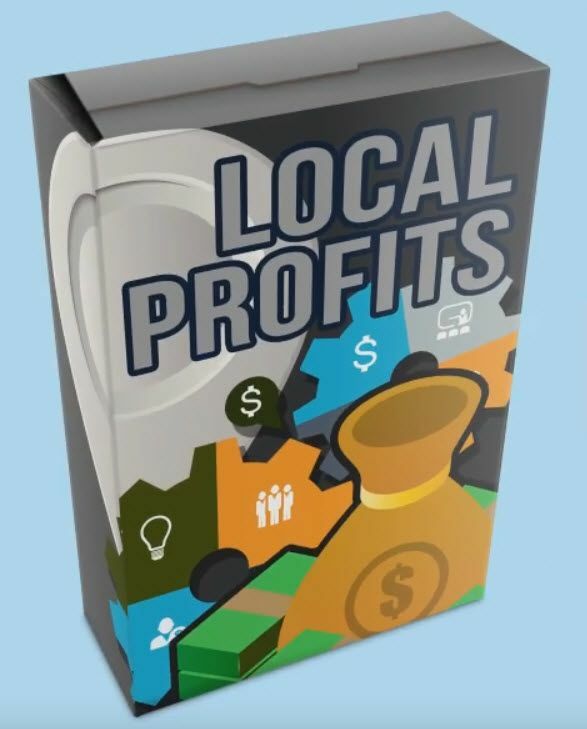 We are throwing in our LOCAL PROFITS resource for FREE. We'll take you step-by-step, showing how to realize success in the easiest (and fastest) way possible. Even a high schooler can use Local Profits and be making money within the FIRST MONTH! All we can do is put it in front of you at a "DROP DEAD, AWESOMELY LAUNCH SPECIAL!" fa-check-square-oIt is a 44-page PDF that describes a successful method to get clients without cold calling. 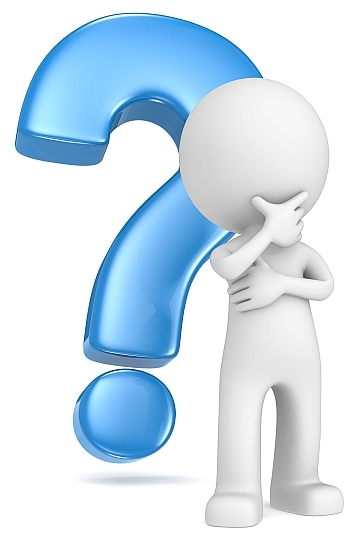 fa-check-square-oDo YOU wonder how to get clients without cold calling? Dale Berger had the same question, and skyped me: "Definitely worth the money." fa-check-square-oAnd after an hour he skyped: "I already have 8 requests for web services in my inbox." fa-check-square-oAnd after a week he skyped: "I'm starting to get really busy. I got my first client from it last week." fa-check-square-oTwo weeks later he skyped: "On a side note, I've gotten one job that is leading into a ton of work. I've created a site for their client that they like very much, and want me to build other sites for them. I may end up getting Google Adwords management from it, too. " To Invoice And Get Paid, Right? 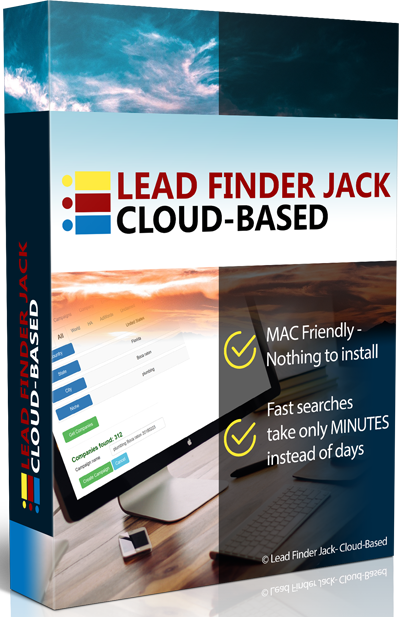 Whether you are a struggling offliner looking to land your first client, or a seasoned pro looking to save time and scale your business - implementing Lead Finder Jack - Ultimate Edition in your business will allow you to do just that. And that's only ONE of the six products in this Dynamite Prospector Package! Nothing held back. We will spend as much time as needed on each weekly webinar to get each and every question answered. We want you to be successful! That's Fantastic! What's The Next Step? fa-check-square-o3) NEW BIZ PROSPECTOR - Web Based application, Personal PC and MAC friendly, No software to download or install, Delivers Business Owners names and emails. fa-check-square-o5) Local Theme Jack Enterprise Edition, With SALES DYNAMITE JACK feature and with 10 Credits - build up to 10 sites... and unused credits roll over to the next month. You Can Select From the 280+ One-Click, Ready-To-Go Website Niches shown below. With Our Proven One-Click System, Today! But you can take this Dynamite Sales Tool Box (8 Products) for a test drive for the next 30 days for just $27! fa-check-square-oMake a 5,500% or Higher Return On Your $27 Investment. fa-check-square-oThen pay just $59 per month after your 30-day trial period ends. fa-check-square-oYou get 9 of my best products for one special deal. In case you hadn't noticed, I REALLY want you to succeed. For just a small investment, you Get Instant Access To - SALES DYNAMITE JACK - to prospect Ultimate Clients that don't have a website and spend thousands of dollars each and every month... plus all the other products in this package. The Only Question Now Is... How Much Is This Going To Cost? near $997 for this today. $497 would be a fantastic price for DYNAMITE PROSPECTOR. Just landing one client would more than cover the cost of admission at that price. But guess what? You won't even be paying that much today. We want you to get started and hit the ground running, landing all the clients you can handle... So, you may pick this up today at a ridiculously low price. Today and Sign Clients Up on Autopilot. HURRY because the price will increase when the Timer on top of the page hits ZERO. Regular price for SALES DYNAMITE JACK will be $97 per Month! But until the timer hits zero, you only pay $27 for your first 30 days. Then pay just $59 per month after your 30-day trial period ends. Click The Button Now To Grab DYNAMITE PROSPECTOR and lock in the lower price forever! fa-checkAccess to the 24/7 Guidance of the Lead Finder Jack Members Only Private Facebook Group, where you will connect and network with like-minded business owners, plus get answers to your most challenging business questions. You will be able to exchange advice with other members, receive tips and important notifications. 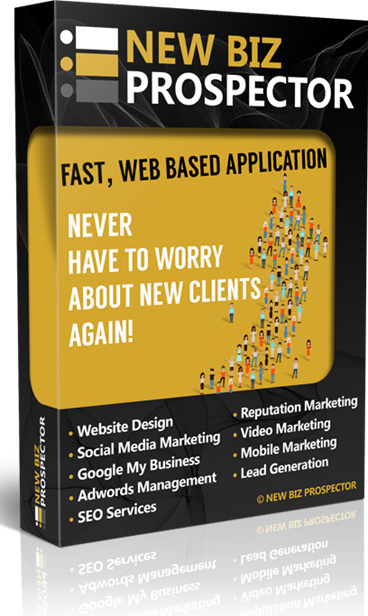 Ultimate Edition, Land Clients and See The Results You Deserve - Risk Free. 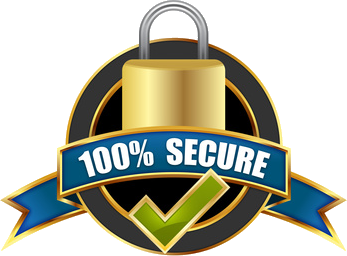 fa-check-square-oWe guarantee you WILL be 100% THRILLED with the results you get with all 6 Products of DYNAMITE PROSPECTOR system... or we will refund every penny of your investment! 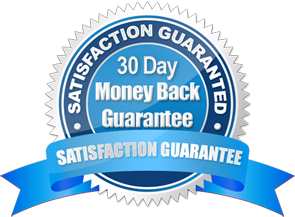 fa-check-square-oIf you come to the conclusion that nothing from this offer has helped in any way, you can take advantage of our "30-day Money Back Guarantee" and simply ask for a refund within 30 days. Don't miss your Limited time opportunity! Try it out for 30-Days, Risk Free. Take a look at what just a few of our clients have to say about My Products and Services. In case you hadn't noticed, I REALLY want you to succeed! only during this Special Launch. But WAIT... There's Even MORE! fa-check- You will get Mobile Prospecting Jack email template, which you can download in one click from LEAD FINDER JACK Email Template Library (it cannot get easier than that). fa-check- You will get the exact emails, created and used by Gary Fitzpatrick, that have been sent to 1000+ businesses. Gary now services 100+ clients. fa-check- You will also get alternative email templates which point out "I could not find your company's website". fa-check- Many businesses know that their website does not generate many calls for them. Local Theme Jack is optimized to convert visitors into callers. We created a special email template pointing out that just having a website - one that does not generate calls (and potential customers) is not enough in 2018.
fa-checkFirst of all, you need to know that there is no better email server than Amazon. It's not easy to get accepted there. You must take the correct steps to be approved. Once there, you can qualify for up to 50,000 emails per day! ...for just pennies! fa-checkPDF 1: How to set up an Amazon AWS Account. fa-checkPDF 2: How to get approved to send 50,000 emails per day ...for pennies! fa-checkPDF 3: How to verify your email address. fa-checkPDF 4: How to set up and use the SMTP settings. fa-checkIn addition, you will also get access to a special Sales Dynamite Jack Training. fa-checkThe Training is in videos and PDF format. fa-checkEnterprise+ Members will be able to vote for the development of 17 additional Niche Themes which are not already included in our Niche Collection. fa-checkDo you need to have access to a Niche that is not already included? As soon as you become an Enterprise+ Member, show us a copy of a check for the sale of a niche site that is not currently in the Enterprise+ portfolio, and we will have a theme created for you. fa-checkAccess to our Exclusive Local Theme Jack Private Facebook Group, where you can connect and network with like-minded Business Owners, plus get answers to your most challenging business questions. You will be able to participate with other members, receive tips and get important notifications. fa-checkGet access to my Elite Support Level. My professional team and I will always get back to you in one business day or less. Finally! A Sales System That Delivers The Highest Quality Leads Quickly & Easily, All Without Breaking The Bank! Try for 30-Days Risk Free. I know you are going to love this. No hassle, no problem, your money back!